Announcing the launch of another eBook. This report is our second publication that we are releasing over the coming months. We hope you continue to find our information valuable. In our continued effort to provide interesting and valuable content to all of clients and contacts, we are excited to offer FREE reports on various topics. 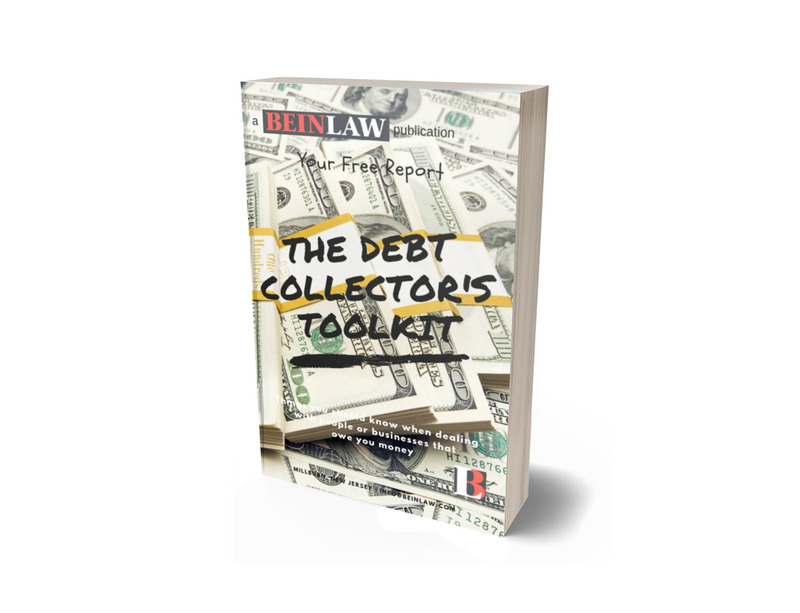 This release, The Debt Collector’s Toolkit, helps business owners to better handle their receivables and be ready when they need to involve an attorney. Click on the graphic image to download the report. If you have questions or comments, please email us. And if you haven’t already, visit The BeinLaw Channel on YouTube or subscribe to our podcasts, DIY Legal and The Accidental Entrepreneur. Our first REAL episode of The Accidental Entrepreneur! THE ADMISSIONS SCANDAL – SHOULD WE BE SHOCKED OR IS IT THE SAME OLD STORY, TOLD DIFFERENTLY?